In the world of sport and exercise, you soon realize that success in these areas starts with consistency. If you want to see results from the exercises that you do or the sport you play you have to be consistent. That means not skipping out on training. With the jet-set lifestyle, we live nowadays it makes it hard to keep to any training plan. We can't carry our gym equipment around with us when traveling and there isn't always a gym available in some cases. That brings us to the first great reason for using them. 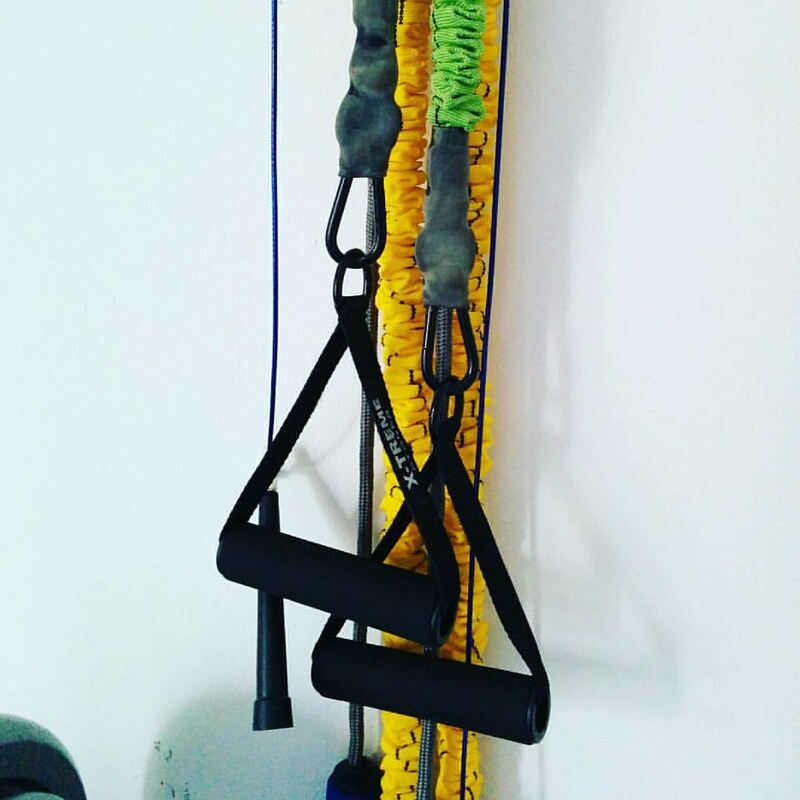 Resistance bands are lightweight and can easily be pushed into a travel bag or even hand luggage. This means we can carry them when traveling. They are also very flexible and can be squeezed into any free space, so long as there are no sharp items to damage them. The intensity of a training session with resistance bands is limited only to your imagination. If it feels too easy you can increase the number of resistance bands you use. Almost every exercise that is performed and the way you set the resistance bands will cause you to engage your core muscles which will strengthen them. When using weights, you are always aware of gravity. The more weight that is lifted increases the risk in gravity winning that rep. When fatigue sets in and the weights are in an elevated position, gravity wins again. To work safely with weights it is a good practice to have a spotter. With resistance bands, gravity is far less a factor. If the resistance of the band is too great you can stop without gravity winning. A spotter is not a requirement when using this item. The environment that is needed has very little limits. The limit would be that you need somewhere to attach the bands on to something secure. This isn't for all exercises but there are many that you do need to attach one end of the band to a secure anchor. If there is a doorway with a door that closes your problem is solved. Another item you can attach the band to is a pole. The resistance band is extremely versatile. In almost any environment you can do; warm-up exercises, muscle resistance training, plyometric exercises, and cardio. They are comparatively inexpensive compared to weights. When using weights, if you want to increase the resistance, more weight must be purchased. With resistance bands, you can use a number of ways to increase the resistance. It's more economical to buy an extra band than to buy an extra weight. With a band, you can shorten the band to increase resistance or stand further away from the anchor point. Once again you are only limited by your own imagination. These are 5 great reasons for trying resistance bands out. The versatility of this item makes it very popular for professionals and beginners in the sporting and exercise fields.